The Most Spacious 5th Wheel! $10,000 IN EXTRAS. GREAT FLOORPLAN. EXCEPTIONAL CONDITIONS. CALL US TODAY if you have any questions or would like to schedule an appointment to view the pre-owned 2018 Grand Design Solitude 344GK. Once you have sent in your inquiry, our sales team will contact you as soon as possible (no more than 24 hours). Please check your junk mail folder for a response, as unfortunately some email servers may send their replies there. Thank you! We went to Red Deer to the RV show but was checking out different dealers in the area and found SYLVAN LAKE RV. Checked out their website and ended up missing the rv show and just headed out to Sylvan Lake. found exactly what we wanted and the price was the best of any we had found. the whole experience was stress free and they did everything to accommodate us in every way. the service was great and when we came back to pick up our motorhome everything was done and ready to go. Would recommend Sylvan Lake Rv to anyone. Thanks Dale Vold for a job well done. We bought a motor home from them and I can say that service is outstanding! Dale has been very helpful and accommodating throughout the entire experience. We definitely recommend giving them a visit. To all the staff, especially Dale, thank you very much. We wanted to trade our holiday trailer for a motorhome and ended up talking to Dale in sales at Sylvan Lake RV. We were not sure what we wanted but Dale took the time to explain the pros and cons of various models. He was very knowledgeable and helpful and we feel like he helped us buy the right unit. Val in parts was very helpful in finding all the accessories we wanted. Chris in service really knows how to put it all together. This is a great dealership and we recommend them. – 5 stars!! Dale and the staff couldn’t have been more helpful. We purchased a near new Diesel Pusher. We had a couple of small issues after the purchase and I was very pleased with the resolution. 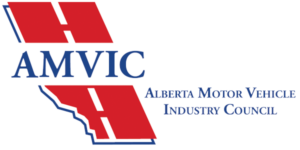 I have owned many motorhomes over the years with varying degrees of after sale service and would highly recommend Sylvan Lake RV to any prospective purchaser. We recently bought a used Bigfoot camper from your company and are just taking a moment to thank you for such great service. From the time we entered your showroom and spoke with Erik to the time we drove off the lot with our new to us camper we were treated well. Even though our purchase was on the low end of your inventory, not once did we feel like we were treated inferiorly. Erik’s professional and sincere help was much appreciated…..
We would not hesitate to recommend Sylvan Lake RV. Our decision to shop local for our Class A Motorhome and a tow vehicle was a very enjoyable experience. Thanks to Doug, Dale and Wayne. Their website and Facebook presence give us the assurance that they will be here for after sales & customer service for years to come. © 2019 Sylvan Lake RV. Trademarks and brands are the property of their respective owners.